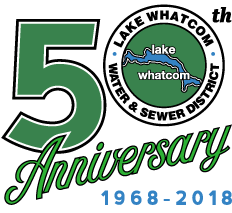 The Comprehensive Sewer Plan for Lake Whatcom Water and Sewer District is updated every six years as required by state law. The plan has been prepared in accordance with the Washington State Department of Ecology (DOE) guidelines as presented in WAC 173‐240-50. outline of future improvement projects within the District.